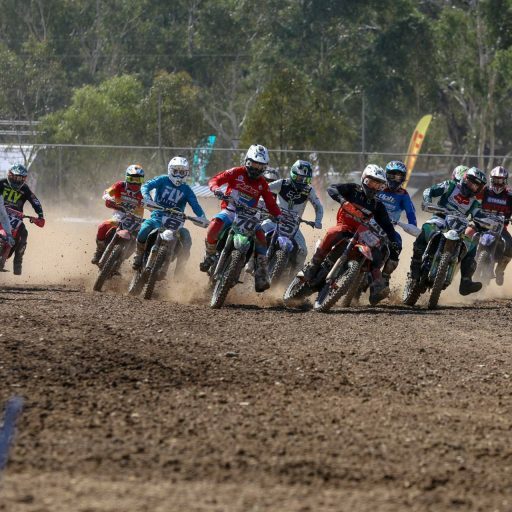 What a weekend it was at the first ever Yamaha Australian Off-Road Championship (AORC) desert cross country for round 7 of the championship. 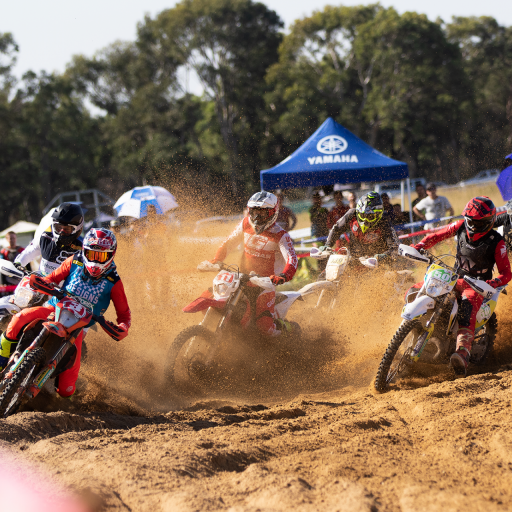 The riders were welcomed to the brand-new format with gruelling conditions, deep sand, high winds and dust throughout the 28km and 16km loops. The standout on the track was Daniel Milner, making the conditions look a breeze on his KTM 500 EXC as he costed to the E3 victory. 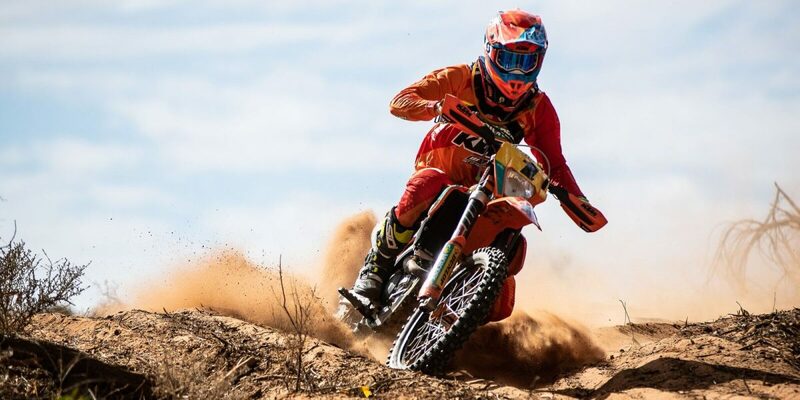 Milner dominated the weekend, taking out the prologue on Saturday from his teammate Lyndon Snodgrass by just .02s, then backing it up by taking out the first ever AORC desert cross country by over 12 minutes. In E2 it was a weekend of ups and downs for a few of the top contenders, in Saturday’s prologue Lyndon Snodgrass led the way followed closely by Yamaha’s Josh Green. For the first time in series, Daniel Sanders finished in ninth after Prologue, his worst finish since making his return to Australia. 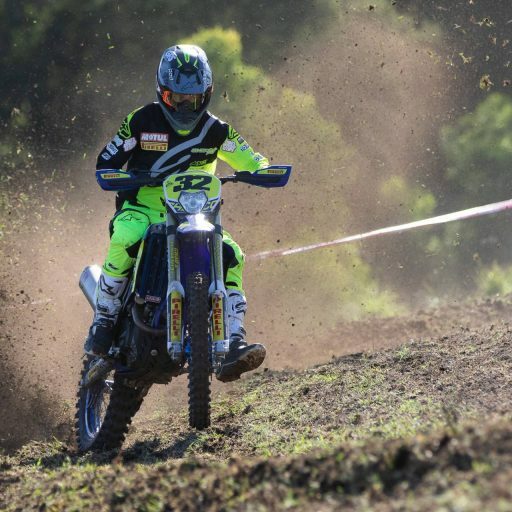 The Husqvarna rider turned it all around when it came to Sunday’s cross country, quickly wiping off the deficit he faced with a poor prologue time, taking the lead after the third loop. Sanders pulled away to take a convincing victory. Snodgrass battled throughout the four hours but just didn’t have the speed of Sanders over the journey, plus a five-minute penalty for deviating off the course left Snodgrass in second position. 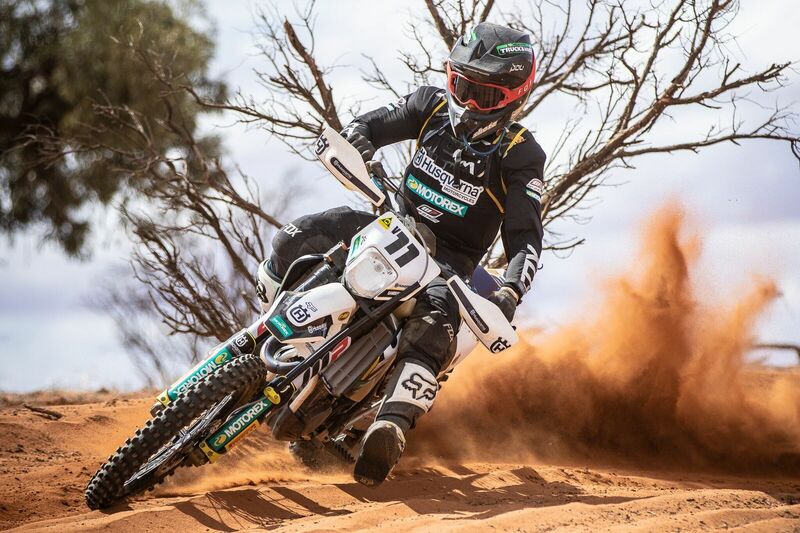 Grabbing his first podium of the season was privateer Riley Graham, who finished in third and showed he really enjoyed the dusty conditions. The hard luck story of the weekend would have to have been Green, after his great prologue time he was ready to battle it out up the front. Disaster struck at the end of the first loop, a fuel line issue saw Green pit early. This issue was fixed and back out he went, but it wasn’t for long as Green returned to the pits with a snapped chain and this ended his day. 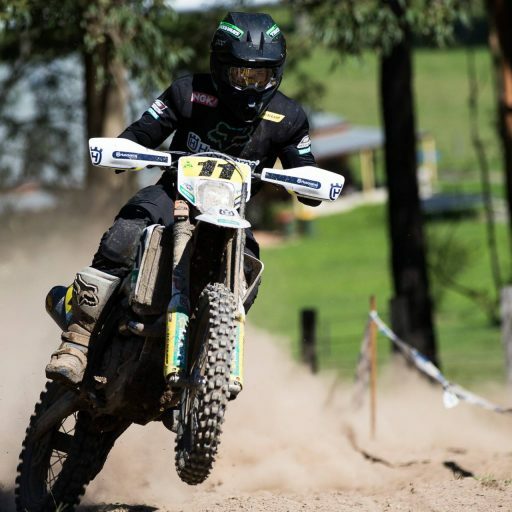 Luke Styke has continued his bumper 2018 season, once again taking the E1 victory and showing the cross-country format suits him. The Active8 Yamalube Yamaha Team rider didn’t put a foot wrong throughout his four hours, Styke looked cool and calm throughout. 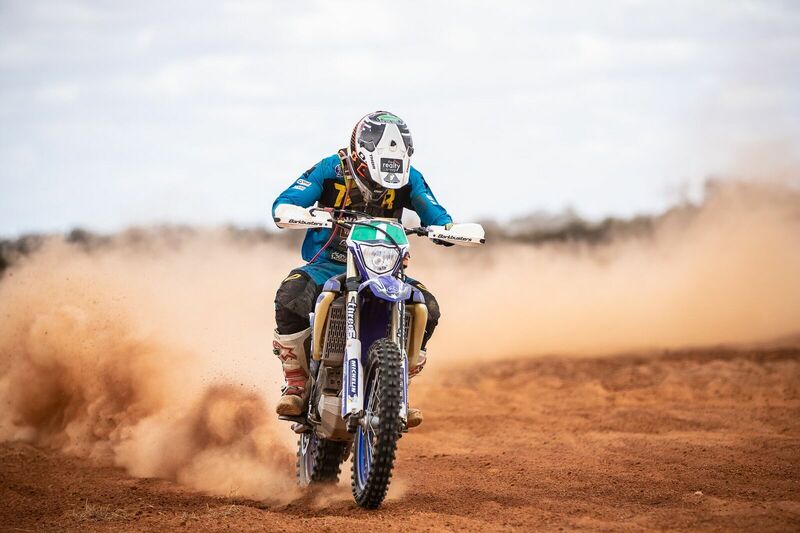 The undefeated season for 2017 EJ Champion Michael Driscoll continued at Broken Hill, as the bLU cRU Yamaha Racing Team rider took the win. It wasn’t all smooth sailing for Driscoll, after a great start in the cross country he found himself in a spot of bother. The gear lever was stuck in fourth gear from lap three till the end, and during a pit stop Yamaha had to change his clutch as he had fried the clutch. Emelie Karlsson and Jessica Gardiner continued their great battle in the women’s class, and just like at round 6, it would be Karlsson who took the win. 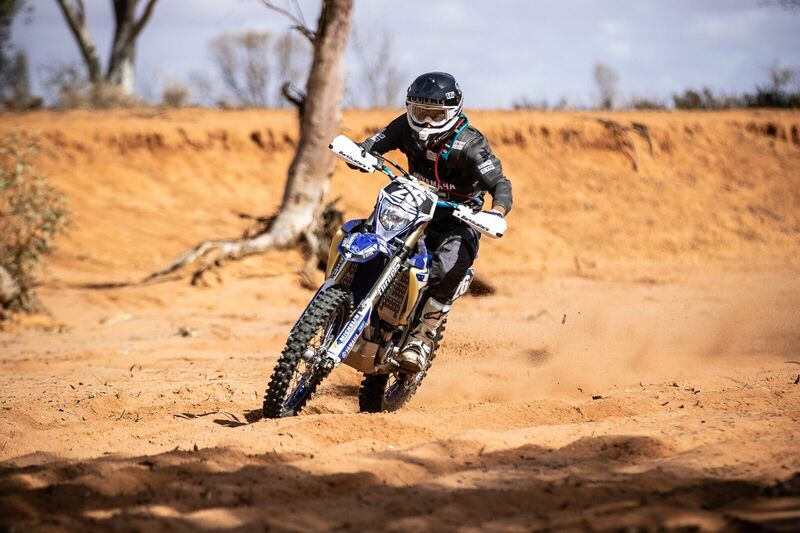 Gardiner would settle for second and continuing her improvement in the Womens class was Danielle Foot who made it two rounds in a row on the podium. A new winner came in the Veterans class with Peter Rudd edging out championship leader Richard Chibnall and in the Master’s class it was Craig Treasure who couldn’t put a foot wrong on his way to the win. The junior classes were hotly contested again and with the cross-country format it would be a battle of endurance to see who would take the win. 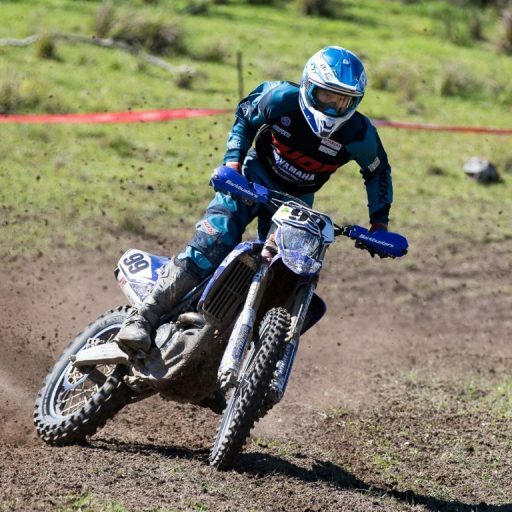 Fresh of the World Junior Motocross Championship last weekend, Korey McMahon took no time adapting back to enduro, taking the J4 win. 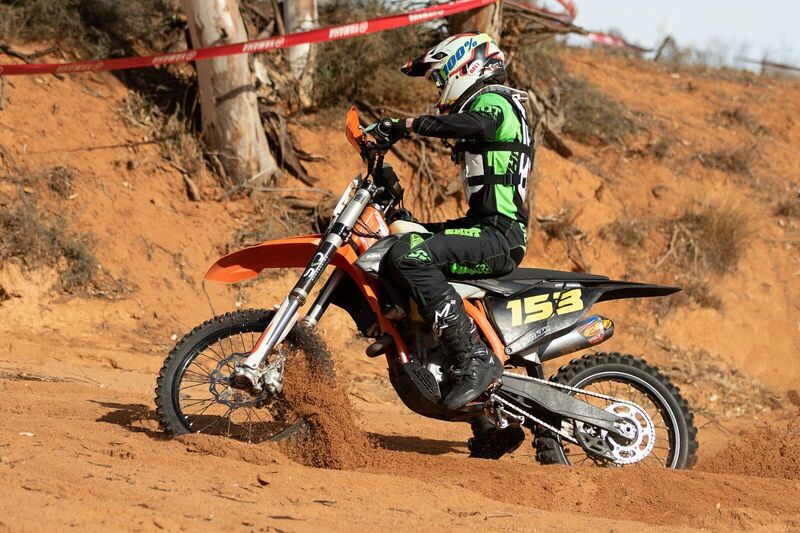 Blake Hollis had the quickest prologue time and backed it up with the win in the cross country in the E3 class. In J2 it was Max Phillips taking the win, showing great skills and endurance to cross the line first. To see all the AORC championship standings click here.